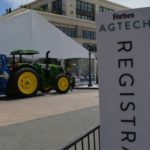 It was an exciting year in farm technology involving a few high profile venture capital exits and some of the largest deals on record, writes AgFunder.com’s Emma Cosgrove. In fact, funding records for this category and the subcategories within were broken more than once during the course of the year. Just this month Indigo Agriculture, the Boston-based microbial crop technology startup, closed its Series D funding round on $203 million, the largest fundraising effort by a farm tech company on record. Indigo’s product portfolio includes microbial seed coatings for corn, soy, wheat, and cotton. These coatings help crops to withstand environmental stressors such as drought, high temperatures, salty soils or low nitrogen and bolster resistance to disease and pests. The company also claims its products produce higher quality crops, such as increasing the protein content of wheat. Indigo does not sell its microbial coated seed product to farmers like most ag input suppliers; instead, the company enters into contracts with farmers, providing them with the seed at the start of the season and then purchasing their harvest for a guaranteed, premium price. Investors: Investment Corporation of Dubai, Flagship Pioneering, Alaska Permanent Fund, Baillie Gifford, Activant Capital. Investors: SoftBank Vision Fund, Affiliates of Louis M. Bacon, the founder of Moore Capital Management, Innovation Endeavors, Bezos Expeditions, DCM, Data Collective, and Finistere Ventures. Head on over to AgFunder.com to check out Cosgrove’s full rankings.